We’re extremely confident in the quality of product and service we supply and the unbeatable value for money we offer that all our furniture is backed by a full 14 day no quibble money back guarantee. Furthermore, we can assure a price beat promise and free delivery on all products – most of which don’t require any assembly. Cottage-styled kitchens are a classic theme that add a traditional, characteristic look to any room in any home – in this instance, kitchens. With the painted cupboards, chunky wooden beams, worktops and old fashioned oven areas, what is not to love. Below, we have a list of our favourite ones that have caught our interest on Pinterest. What did you think? let us know your thoughts in the comments below. The relevance of having a coffee table is mainly for the practical aspect, with the added bonus of having a beautiful, strong furniture piece that is the center of any living room. 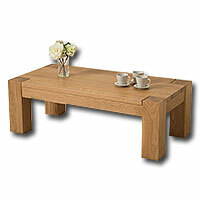 It is important of how useful a coffee table can be – especially when purchasing oak. 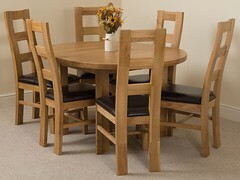 Purchasing solid oak products is a long-term investment in furniture – along with it being a stunning center piece that goes well with almost any interior decor. 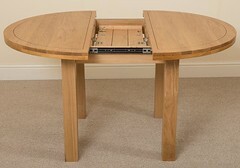 As you can see below, oak dominates pine and beech wood. 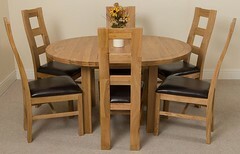 Solid oak furniture is hard-wearing and incredibly easy to maintain. Simply dusting and polishing regularly will preserve that “just-new” look. The characteristic grain pattern and the many shades, styles and finishes, you can be confident finding the perfect companion for your home decor. 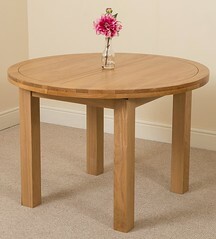 If a coffee table is not quite what you’re looking for, we do have our range of nest of tables. A handful of homes that have been left uninhabited over the years. Some of which have been forgotten so long that nature has already began reclaiming its spot. Below, you will see some beautiful homes that will make you question how and why they have been left to rot. However, in some instances it is safe to say that an abandoned home sometimes has a raw beauty about it – especially in more traditional homes. Looking at this image, it makes you wonder how incredible this would look if restored to its former glory. With bags of character and being the first thing you see when you walk through the door, it is definitely a feature that would make a great impression to guests. In-fact, in it’s current condition it still makes a fantastic impression. If it wasn’t for the rotting wood, this room would probably look as though it had never been discarded. With the remaining dining set with plates and glasses still remaining, TV, sideboard, pictures and clock on the wall, it makes you wonder how this home was left to depreciate. This abandoned study seems to have been mysteriously left with most, if not all, books remaining. It is interesting to wonder what the books actually contain, but nevertheless it’s reassuring to know they haven’t been vandalized. This old living room has obviously been left for a while. With it’s characteristics slowly decaying from the force of mother nature, it makes you wonder how much this room radiated it’s beautiful character when once occupied. Built around the 13th century, this old house in Aveyron, France is still standing and inhabited in today. Along with it’s beautiful exterior, this home has a reason why the upper floors are much bigger than the ground floor. Due to taxes, they were only required to pay tax on the ground floor square-footage, hence the larger upper floors. With your living room being one – or possibly- the most family orientated room, you have to consider the best furniture solution for this room. 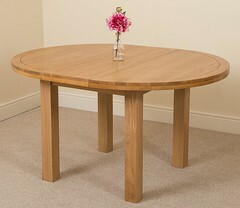 Hands down, investing in solid oak furniture is a must when considering this. With the variety of benefits of oak, it is hard not to like. 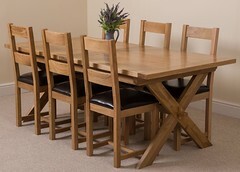 For instance, solid oak furniture is hard-wearing and incredibly easy to maintain. Simply dusting and polishing regularly will preserve that “just-new” look. Fun Fact: Did you know oak is stronger than pine and beech wood. If you’re still unconvinced, you can buy dense hardwood furniture from our main website, Oak Furniture King, preassembled and delivered (UK Only) for FREE! Miniature furniture sets are an awesome piece of craftsmanship, especially when great detail is added. In-fact, it’s something that you will be seeing from us very soon and we hope you give it a go and send them in to us. Below we are going to look at furniture items, entire furniture sets and step-by-step guides to creating your own. With 14 ice lolly sticks, glue and a small saw you can create you this cool miniature bench. You can add your own touch by saw the ends to make the edges square, rather than rounded. Also, a possibility of varnishing the bench would potentially add more character to the wood grains. Have a button that inconveniently popped off your clothing? well, you can now make use of it and turn it into a miniature clock! To create the numbers you can either draw or print the image and glue to your button. Then, we recommend using plastic for the clock hands as it’s easier to cut and shape. An incredibly detailed bedroom set that has a lot going on. From wallpapered walls, windows, wooden floor, desk, bed, picture frames and more – you can tell an incredible amount of effort had gone into this. A minimal but modern living room that shouts sophistication. With scrap pieces of wood you may have lying around, you can create one too. The floor seems to be a table top acting as the living room floor. The walls can be made with cardboard painted, and then glued together. Then simply put together the rest with paper, old cloth’s and wood you may have. If not, Hobbycraft sell bags of random pieces of materials which may help you finish your project. This detailed display cabinet seems to consist of paper, transparent plastic for the glass effect and thin slices of wood that can be cut with a sharp blade. Accurately measuring and drawing out your templates and fixing them together with glue – and hanging the doors with miniature hinges – can be achieved too. We believe we have saved the best till last. Although the above are incredible, this one tops our list for having the most attention to detail paid for such a small piece.